If you watch Oprah, you saw this week that Suzanne Somers was talking about something called bioidentical hormones. What is this? Well, this goes into the discussion of the controversial topic of hormone replacement therapy at menopause. In years past, it was standard practice to place patients on estrogen to combat the symptoms of hot flashes and other menopausal symptoms. You may remember a big deal being made about estrogen a few years ago, It was in fact something called the Women's Health Initiative in 2002 which revealed that estrogen therapy, according to their data, actually slightly increased the risk of heart disease. According to this WebMD article, subsequent studies have somewhat confirmed that data. Anyway, all these questions have left women to wonder whether prescription hormone replacement therapy was for them. Then, steps in the alternative medicine community. Especially since 2002, this industry has been trying to find alternatives to prescription therapy. In the video above, the newsmagazine 20/20 analyzes the claims that Suzanne Somers made in a 2007 book. This report is almost a year old, but brings up some of the same claims that Ms. Somers made on this week's Oprah show. In addition to checking out the video above, there is this news article with quotes from an Ob/Gyn physician on the topic of bioidentical hormones. The day after the Oprah show ran, I received many questions from my patients on bioidenticals. What did I tell them? Well, for me, there are still a lot of questions of whether they substances work. I just don't see good data out there yet to convince me. In addition, I don't believe that there have been adequate safety studies done on these substances yet. What are your thoughts on bioidentical hormones? Leave them in the comments below. And, I invite you to my live internet radio show tonight called The Night Shift with Dr. A in which we're scheduled to discuss this topic as well tonight. In case you don't know, the "review of systems" is the laundry list of questions at the end of the medical interview that may tip you off to something you may have missed during the first part of the interview. Docs with little time to see the patient, sometimes gets into "tunnel vision" and, sometimes go down the wrong path. A quick review of systems may help you get back on track. This month, Dr. Gwenn has asked Doctor V to be on the show. He runs the blog called "Parenting Solved: Compelling commentary on parenting and child health." Doctor V has also written a book called "Colic Solved: The Essential Guide to Infant Reflux and the Care of Your Crying, Difficult-to-Soothe Baby." In addition to our guests, I will have a HUGE announcement having to do with my February 5th, 2009 show. 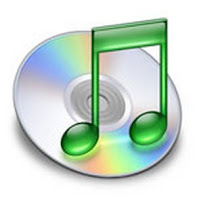 So, join us the Thursday, January 29th, 2009 at 9pm Eastern Time on BlogTalkRadio for Dr. A Show number 71. And, hey, if you cannot catch us live, that's ok. All my shows are archived and available for download. So, can you listen anytime! But, if you do listen live, you will be able to participate in our live, interactive chat room. You'll also have the opportunity to call in to join the conversation, and even see my shining face on my webcam. See you for the show! Thanks so much to my co-host Kim for all of her hard work to put this show together. (Can also download the show here. Also, don't forget to check out the video post) She definitely did a lot of show prep including contacting and inviting the guests - and writing some great questions. Kim also primarily ran the interviews during the show. Great job Kim! Thanks also to the guests on the show tonight. First was Stacy from the blog called "The Adventures of Stacy Without An E." Our second guest was Tracy from the blog called "Kaply, Inc." Not only did we have a great conversation about their blogs, but also we had a great conversation about how it was to live with chronic kidney disease and to live with dialysis. Also, don't forget to join me for the "Night Shift with Dr. A" which will be on Saturday, January 24, 2009 at 9pm Eastern Time. My co-host for that show will be Kat from the BTR show "Llanview Lowdown." We'll talk a little medicine, a little health, entertainment, pop culture, and whatever else comes up. Hope to see you for the Night Shift! Join us tonight for Doctor Anonymous Show 69 where we will have a special co-host. You may remember Kim from Dr. A Show 57 who works in a dialysis center and she is also a nursing student. Kim has graciously set up two guests for our discussion on dialysis and chronic kidney disease. Joining us for the show will be Stacy from the blog "Stacy Without An E" and Tracy from the blog "Kaply, Inc."
Everyone knows how excited I am that more and more medbloggers are video posting. I wanted to welcome Katie from the blog "Dr. Katie Goes to Med School." She's from Detroit, Michigan, and her blog profile describes herself as, "A 20-something girl trying to balance medical school and real-life." In this video post, Katie said that she worked in Thailand for a year (how cool is that?). She also talks about an upcoming test about blood disorders. Definitely check out all the cool highlighting in her book. Finally, she has some random thoughts on bobby pins. Why not show Katie some love and check out her blog and her 2nd video post. Great job Katie! Looking forward to more video posts! Just want to give a little shout out to our buddy Emergiblog who is hosting Change of Shift Volume 3, Number 15. In case you don't know CoS is a blog carnival about nurses and nursing. I hosted it once (and probably should again one of these days) and it gives great insight into this field. At the end of this week's edition, Kim states that Change of Shift is having a type of "identity crisis" in stating that even though anyone can submit posts, the blog carnival needs to keep nursing focused. So, she's looking for some brainstorming. If you're a nurse or having an interest in nursing, I encourage you to check out this week's CoS and also leave some comments on the future of CoS. This week, The Doctor Anonymous Show welcomes our good friend Kim as a special co-host. You remember Kim from Dr. A Show 57 where she talked about life as a dialysis tech and a nursing student. Well, for our show this week, the topic is "Chronic Kidney Disease" and we'll talk about issues like dialysis with two special guests. Stacy is from the blog "Stacy Without An E." His blog profile states, "I am a tortured soul who can twist between the most interesting, entertaining and engaging individual you've ever met to the most foul, grouchy, twisted and sarcastic schmuck ever. Both sides usually battle for complete control of my soul." We'll be talking about his life as a dialysis patient going to an outpatient clinic. So, join us on Thursday, January 22nd, 2009 at 9pm Eastern Time on BlogTalkRadio for the next episode of The Doctor Anonymous Show. Finally, I still need your vote in the Twitter Shorty Award finals. The polls close on Friday night, and I have fallen into 2nd place in the health category. Thanks so much if you have voted already! But, I will need your help to try to find more votes in these last days of the race. Thanks in advance for anything you can do to help. Well, don't pay people like these people were doing. Sheesh! If you haven't checked it out already, Grand Rounds Vol 5 Number 18 is now up and running at MedPage Today. The host is the one and only Dr. Val Jones from Getting Better with Dr. Val. With today's inauguration and the country having high hopes in the changes occurring in Washington, D.C., Dr. Val has chosen to highlight posts talking about healthcare reform. "Twitter may be a proving ground of how we overcome our fears, satisfy our cautions and extend the reach of our health care system with web-based technologies and communities." As I have said in the past, I admit that I haven't mentioned GR in a while. I have to admit that I've been a lazy medical blogger in that I haven't written anything for this fabulous blog carnival in a while. If you don't know what Grand Rounds is, it is a weekly compilation of the best posts from the medical blogosphere that moves to different sites each week. And, who doesn't like reading about medicine and science? Next week, Grand Rounds moves to our friends over at Chronic Babe. Before all the inauguration news floods the internet tomorrow, I did want to send some congratulations to my friend Chris Seper, co-founder Mary Vanac, and the rest of the team over at MedCity News. They went live at around noon today, from what I could gather, things have been going ok over there today. According to the site, here is how they describe themselves. MedCity News is a news service focusing on business, innovation and influence in health care. We don’t write about consumer health or the research in medical journals. 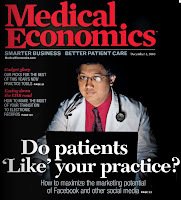 Instead, MedCity News covers health care as the economic engine of major American cities. Our current focus is Northeast Ohio, followed by the rest of Ohio and sections of the Midwest. I also encourage you to check out a profile of the MedCity News founders in the online magazine Cool Cleveland (the blurb is about halfway down the page). Chris introduced himself to me when he was working at the Cleveland Plain Dealer online site. He graciously put a link to my blog and The Doctor Anonymous Show on the PD site, which introduced some local readers/listeners to the blog/show, and for that I'm grateful. So, especially if you're where I'm at (northern and NE Ohio), definitely check out MedCity News. In my opinion, justice was served today with the news of President Bush, in his last full day in office, commuting the sentences of Border Patrol Agents Ignacio Ramos (left in the picture above) and Jose Alonso Compean (right). According to this story from FoxNews, their sentences will expire on March 20, 2009 and then they will be able to go home to be with their families. I did want to recognize my good friends Annie and Burl for having the courage not only to talk about this topic on their show, but also to have the wives of these individuals, other family members, and a staff member from a US Congressman's office on their show on January 14, 2009. They didn't have to do that. I mean, they are a comedy show for crying out loud. I know that they brought more awareness to the BlogTalkRadio audience and their show, I believe, touched a lot of lives and - I think - made people proactive to take action to make their voices be heard for these two American heros. So, thanks again Annie & Burl! I think that you made a difference in this case and for these families! 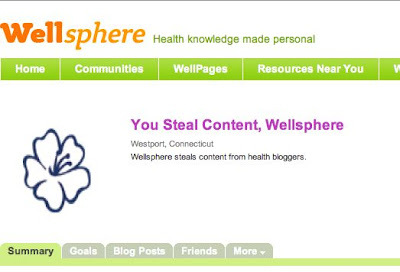 I'm fascinated by new an innovative uses of social new media tools in medicine and health care. The use of e-mail and tools like secure, password protected websites have been talked about (but not really implemented that much for a variety of reasons) for a long time. But, what about social media solutions like twitter, facebook, and other tools. I came across this post from Phil Baumann who is a tech guy with some health care credentials. He shows this point of view by bringing up the commonly held concerns of those in health care in using technological solutions - namely issues of patient privacy, HIPPA, and fear of litigation. However, using his tech point of view, he challenges the health care industry to look "outside the box" and see innovative uses of social media. His post is called, "140 Health Care Uses for Twitter." Some of these suggestions are really off the wall, but others I see as possible good uses of this medium. Take a look at some of these suggestions and let me know what you think. How would you use Twitter to take care of patients? Finally, I'd like to welcome those of you who have checked this post out from Grand Rounds. So glad you're here! I invite you to check out the blog, my internet radio show, and my Twitter feed. If you like, then I encourage you to subscribe. If you like my twitter feed, please consider voting for me in the Twitter Shorty Finals! The polls close this week and your vote can help me reach the goal of winning my category. Thanks for your consideration! This year's awards are sponsored by Epocrates (BTW, love epocrates. Use it everyday in patient care.) According to the website, the polls will close on Sunday, January 18th, 2009 at midnight eastern time. Winners will be announced on Friday, January 23, 2009. I definitely support these awards and this post will remain at the top of the blog as long as the polls are open. Haven't voted yet? Why not? Click here and cast your vote today! Good luck to all the finalists! We also talked about the podcasts that he produces including The MedicCast and The Nursing Show. What I like about these podcasts are the teaching tidbits that they have. It really makes me think about adding clinical teaching topics to my shows. Just like trying to do a little more patient education during the office visit, maybe I can incorporate that into the show. The second half of the show had a very different feel than my shows usually do. However, I felt that this story needed to be told. My guest for the 2nd part of the show was Burl from the BlogTalkRadio show Annie and Burl Live. Their most recent show told the story of Border Patrol Agents Jose Compeon and Ignacio Ramos. In my opinion, these American heros are wrongly imprisoned and I hope that President Bush does the right thing and let these gentlemen go home to their families. Burl and I talked about how he and Annie got involved with this story. He talked about how Facebook got him connected to one of the family members. And, then the family graciously agreed to be on their show. The show also had a staff member from a Congressman's office call into the show to discuss the case. Thanks Annie and Burl for sharing this story and I have faith that the right thing will be done and these families will be reunited soon. Finally, I wanted to extend an invitation to check out the "Night Shift with Dr. A" which is my new BlogTalkRadio show. The next episode will be this Saturday, January 17th, 2009 at 9pm Eastern Time. My co-host is Kat from the BTR show, the "Llanview Lowdown." We talk a little medicine, a little news, a little entertainment, a little pop culture, and whatever else comes up. Hope you're able to join us! Join us tonight for Doctor Anonymous Show 67 where our guest will be Jamie Davis who is the Managing Director of The ProMed Network which is a new network of medical/health podcasts. In addition to the ProMed Network, Jamie also produces a number of podcasts including The MedicCast. The player above is the most recent episode of The MedicCast talking about Antifreeze Poisonings. Just today, I saw three great vids from fellow medbloggers and new media medicine peeps out there. They follow below. First is Kerri from SixUntilMe.com (BTW, vote for her blog in the Medgadget Awards!). In this video blog, she talks about her latest adventures with her HbAIC. Next is our blog friend Medi-Medi-Mary who does what looks like a parody video of me doing a promo for The Doctor Anonymous Show. Unfortunately, I could not find the code to place here. So, check out her blog post called My first (kinda) video post. Finally is our buddy LizzPiano and her "secret project" which is a video shot by her hospital. It's a very well done music video which I think is about a recent quality improvement project that their hospital nursing staff did. Check it out below. Great use of video. If you're not using video yet, why not? You'll be glad you did! Join is this week for The Doctor Anonymous Show as we welcome Jamie Davis, RN, NREMT-P, from the ProMed Network. This is a new network of medical and health related podcasts - of which I am a proud member. As of this posting, there are 17 podcasts which are part of the network. And, I think the network has been up and running for about a month now. I'm hoping this year to let, you, the Doctor Anonymous listener, know more about medicine/health related podcasts. In addition to building an empire of health/medical podcasts, Jamie produces a number of podcasts on his own including the popular podcast called The MedicCast: A Podcast for EMTs, Paramedics, and EMS Providers. In addition to this, Jamie also has The Nursing Show, the MedicCast News Podcast, HealthLiner News Roundup, and a number of other projects. I encourage you to check out the video post above which was shot in my garage last night where the air temp was 22F and with the winds, the temp feels like -1F - Brrrr! So, join us on Thursday, January 15th, 2009 at 9pm Eastern Time for Doctor Anonymous Show 67 on BlogTalkRadio. See you then! Through the years, there have been volumes written on how to prevent the common cold. There are some people who swear by things like zinc and other "natural" or herbal therapies. There's even this pretty good article which outlines tips like washing your hands and keeping household surfaces clean. On Monday, researchers at Carnegie Mellon University in Pittsburgh shared something that is very simple to prevent catching a cold - Get some sleep, Dude! It's kind of been conventional wisdom which has said that those who slept more would probably fight off infection better (Reuters). "Although sleep's relationship with the immune system is well-documented, this is the first evidence that even relatively minor sleep disturbances can influence the body's reaction to cold viruses," [Sheldon] Cohen [a researcher at Carnegie Mellon] said in a statement. "It provides yet another reason why people should make time in their schedules to get a complete night of rest." In this study, they took about 150 people and locked them in a hotel for five days after infecting them with the cold virus. Now, we'll never find out, but I wonder how did the people with less sleep keep awake those extra hours during those five days - Hmmm? Inquiring minds want to know. "It's time to take the cellphone away," said Janet Froetscher, president and chief executive officer of the non-profit group. "Studies show that driving while talking on a cellphone is extremely dangerous and puts drivers at a four times greater risk of a crash," Froetscher said in a telephone interview. You may have heard of the use of a "hands-free" device while using a cell phone and driving. The states above do NOT ban the use of a hands-free device. However, the National Safety Council is recommending all use of cellular phones while driving - including the use of hands-free devices and texting. Personally, I think this is a little extreme. I admit that I see people all the time kind of paying attention to the road while talking on the phone, or tuning their radio/mp3 player, or shaving, or putting on make up, or eating while driving, or talking to passengers in the car. Banning texting and encouraging use of hands-free devices make sense to me. But banning all use of cell phones while driving. I think that takes it a little too far. What do you think? I might get in trouble for showing you this top secret information, but I thought all of you wanted to know (hehe). Ever wanted to know what a flight nurse wears? Well, I found this exclusive footage from our fave flight nurse - the one and only Crzegrl. Looks like she was responding to a request from nursing students in the Philippines (Who-Hoo!). Actually, I had no idea what Emily was talking about. I'm just a sucker for (almost) anyone in a flight suit. Great job Emily! Thanks to Angelo Mandato from Podcamp Ohio 2 for being a guest on The Doctor Anonymous Show 65. We talked about possible sessions for the event, along with seeking sponsors, setting up in-person meetups in the Cleveland/Columbus/Cincinnati areas, doing promos for the event, and other things. Thanks to Crzegrl and Jason for calling into the show to ask questions. Finally, wanted to wish the best of luck to Angelo and his wife Heather on their coming baby - possibly as soon as next week! I'm sure he'll give us an update next month when Angelo returns for the next Podcamp Ohio update. Have a great weekend everybody and hope to see you for The Night Shift with Dr. A on Saturday! The Web Mix a video show that review and highlights websites and other new media tools. On their latest show, namely Show #11, Jason, the show's host (and also from NE Ohio - WooHoo! ), reviews gives "you ways to use the web to get healthy and track your diet, exercise and fitness." Thanks to t-rave's twitter, he let me know that The Web Mix mentioned my blog and my show. Thanks to Jason for mentioning me and thanks to t-rave for the heads up. I encourage you to not only check out this episode above, but also check out The Web Mix website. Jason does a great job! Thanks for mentioning Doctor Anonymous! The Doctor Anonymous Show is back this week after not doing a Thursday show for a while. We will be talking about more of a new media focus rather than a medicine focus. 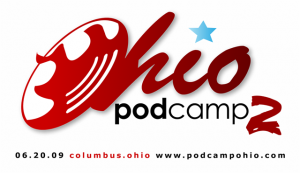 Our guest will be Angelo from PodCamp Ohio. PodCamp Ohio will take place in Columbus, Ohio on Saturday, June 20, 2009. This is a conference (some would call an "unconference") focused on podcasting, blogging, new media and social networking. After the new year (this Thursday to be exact) I'll be getting re-engaged in planning the next PodCamp Ohio! I'm quite excited, we have a lot of work to do and a lot of jobs to assign so if you're ready and willing to be an organizer for this year, please email me what you would like to do to help. So, join me and Angelo and anyone else who calls in for The Doctor Anonymous Show on Thursday, January 8th, 2009 at 9pm Eastern Time on Blog Talk Radio. (I also invite you to check out the new layout of the BTR site) We'll be talking PodCamp and other things having to do with new media. Plus, as you may already know, Angelo and Heather's baby's due date is any day now. So, he'll give us an update on that as well. See you for the show! Well, the first Night Shift show is now behind me - definitely a different show than what I do on Thursday nights. My co-host is Kat from the BTR show called The Llanview Lowdown. On this evening's show, we talked about Kat feeling a little bit under the weather. And, this kind of affected her energy level on her most recent show. We also talked about her being a fan of the old TV show The Twilight Zone - and why she kind of has a fear of dolls. We also talked college football. Thanks to MarQ for calling into the show to talk a little TV trivia. So, all in all, I think things went ok. I still think I may need to make some format changes before the next show. I mean, how perfect can you be after show number one? Yeesh! This was an interesting interview, mainly because Cliff and I were operating under little sleep. Cliff broadcasted almost all of the 24 hours, and I was in the midst of a long on-call stretch. So, the both of us were pretty entertaining. But, it was what seemed like a harmless question which seemed to set shockwaves through some people. A question that the Dr. A community has been wondering ever since I started this blog - Is Dr. A single or not? Well, if the above video clip from one of my fave movies Sixteen Candles doesn't sum it up. Well, then this tweet from scanman definitely does. Now, I know that this is going to sound really egotistical, but I've only learned the impact of this in the last 24-36 hours. I've received a lot of e-mail, and some of it not so good. It reminds me back of a time back in February 2007 when I first chose to do a video post. The haters were out then. I talked about it in a post called "The Myth Of Anonymous Blogging." Following my interview New Year's Eve night, the hater e-mail began again. So that got to me a little bit. Something more important that got to me was learning how this new fact was impacting people in the Dr. A Community. I guess I didn't realize something like that would shock people. And, I'm only now figuring out that there are some hurt feeling out there - mainly that I didn't share this earlier along. This brings up the question of how much of your real self should you share online and when and how should you share this information. And, how much of your "real" life should you keep to yourself. For me, the journey from truly anonymous to less-so anonymous, has been an interesting one. There have been certain points of time where I chose to share a little bit about myself. Early on in my blogging career, I remember when I first showed a picture of myself on vacation on my blog. And, then, I started sharing a little bit more of where I'm exactly located. At the beginning of 2008, I made a commitment to do video posting (at first only in black & white and now almost exclusively in color.) In the summer of 2008, I was interviewed my an online medical journal and shared my real name. And now this. So, to my loyal readers and listeners I apologize for not sharing this sooner, but I wanted to wait for the right time and place to talk about it - and now seemed like the right time and place. Thanks to those of you out there who sent me e-mails seeing how I've been doing. I've only been "unplugged" from the internet for about 48 hours. But, for me, that feels like an eternity. I got some things sorted out and I'm ready to make a comeback. Look out world!